2. Develop a comprehensive study of the state's groundwater resources, keeping a strong focus on the need for conservation. The Committee shall examine a regional approach to groundwater management, inventory the availability of groundwater, and consider the future regulation of groundwater and the role of groundwater districts. 3. Review the missions and roles of all Texas river authorities, including their powers and duties, financing, fee structures, service areas, board composition, relationships with other river authorities, competition with private sector service providers, communities they serve, and roles in and contributions to the state's water plan. 4. Study the necessity for storage and disposal options for low-level radioactive waste. 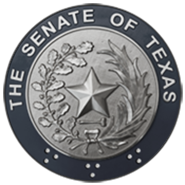 The Committee shall examine Texas' obligations under the Texas-Maine-Vermont Low-Level Radioactive Waste Compact, the status of other federally formed compacts, the practicality of assured isolation facilities, the feasibility of underground disposal operations, and the viability of public-private ventures and other licensing issues. 5. Identify and characterize opportunities and challenges facing the Texas Coastal Region, recognizing that the Region will experience significant population growth and economic development within the state's foreseeable future. The Committee shall recommend strategies to ensure progress in the Coastal Region without diminishing the quality of life and natural resources within the Region. 6. Examine issues related to port expansion and growth, including the implementation of SB 1665, 76th Legislature, Regular Session, relating to the authority of certain navigation districts to acquire land, equipment, or improvements and issue bonds. The Committee shall study the potential economic impact of losing cargo to other states due to inadequate port infrastructure. The Committee shall examine the statutory and constitutional powers granted to those political subdivisions with jurisdiction over ports and which are organized pursuant to Article 16, Section 59 of the Texas Constitution. The Committee shall determine how regional port cooperation might assist in easing congestion at current ports and cargo exchange terminals. The Committee shall measure the success of other state, national, or international efforts to regionalize port planning and expansion. 7. Evaluate the future of the Texas oil and natural gas production industry. The Committee shall identify existing impediments to exploration and production, and examine whether incentives should be offered to help Texas producers capitalize on the expected increase in natural gas demand in coming years. The Committee shall also analyze the effectiveness of the well plugging and remediation program of the Texas Railroad Commission. 8. Monitor the implementation of the following bills enacted during the 76th Legislature, Regular Session: HB 2 relating to agriculture and state agriculture policy; and SB 766 relating to the issuance of certain permits for the emission of air contaminants. The Committee shall also assess, monitor and report on the qualitative and quantitative impacts resulting from the environmental provisions of SB 7, 76th Legislature, Regular Session, relating to electric utility restructuring and to the powers and duties of the Public Utility Commission of Texas, Office of Public Utility Counsel, and Texas Natural Resource Conservation Commission.